The Palestinian Centre for Human Rights (PCHR) calls for an immediate and independent investigation into the circumstances of the death of a Palestinian detainee in Megiddo Prison in Israel following 4 days of detention. 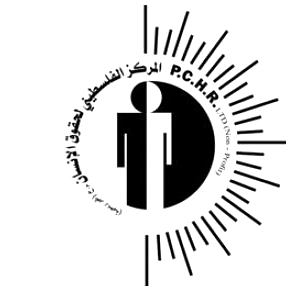 PCHR has serious concerns that the detainee may have been subjected to physical and psychological torture while he was being interrogated inside the prison. Arafat Shalish Shaheen Jaradat, 30, from Sa’ir village northeast of Hebron in the southern West Bank, died in Megiddo Prison on Saturday, 23 February 2013. Sources from the Israeli Prison Service claim that medical crews rushed to the prison and attempted to save Jaradat’s life, but that he died due to an apparent heart attack. They further stated that the victim was not on hunger strike at the time of his death. According to investigations conducted by PCHR, Jaradat was arrested from his family home in Sa’ir village at approximately 04:00 on Tuesday, 19 February 2013. Later that day, his family was informed by the Palestinian Prisoners’ Club that Jaradat had been transferred to al-Jalama Detention Centre for interrogation. On Friday, 22 February 2013, he was transferred to Megiddo Prison, where he died the following day. According to the family, they witnessed Jaradat being beaten heavily by Israeli soldiers during his arrest. The family reports that Israeli soldiers prevented him from changing his clothes and ordered him to say goodbye to his wife and children. The family emphasized the fact that Jaradat was in a good health and had never complained of any disease. Following Jaradat’s death, Israeli authorities announced that they had transferred his body to the forensic institute in Tel Aviv for autopsy and that they would allow a representative of the Palestinian National Authority, his family, and his lawyer to be present during the autopsy. Jaradat was married with two children, aged 2 and 4, and his widow is pregnant. He was an employee of a fuel station belonging to his family in Sa’ir village. 3. Expresses concerns for the deterioration of the detention conditions of more than 4,700 Palestinians who are currently detained in Israeli prisons and detention centres.